STOPzilla and SUPERAntiSpyware are both American-based security software companies that focus on providing quality antivirus software to individual customers and small businesses.If you are choosing an antivirus suite for your PC, and think about getting one of these programs, security researchers at Reviewed by Pro will provide you with the pros and cons of STOPzilla AntiVirus and SUPERAntiSpyware antimalware programs, including the basic features of each, and a comparison between the two packages. The American-based STOPzilla started as a popup blocker back in 2001. The company has developed into a fully-fledged AntiMalware software producer. STOPzilla products offer PC users protection from a variety of threats, including malicious software and viruses. The company provides security developed for individual consumers and small businesses. STOPzilla Antivirus is said to be a flexible and useful piece of Antivirus software. It features include not only detecting and removing threats, but also saving battery when unplugged, improve gaming performance, and even more. The software can be easily downloaded and installed. The file is very small so it won’t take much time. Once the AntiVirus is installed, it will execute a quick scan. STOPzilla AntiVirus is compatible with Windows 10, 7, 8, and Visa. There is also a security suite for Android devices. Researchers at Reviewed by Pro used STOPzilla Antivirus for about 30 days with the Windows 10 (64 bit) PC with Intel i5 processor, 8GB of RAM and HDD. Reviewed by Pro disclosed the main pros and cons of the system. User Interface is very easy to operate and good looking. Researchers noted that even a beginner will be able to use the system without any issues. STOPzilla includes more useful features including, Conserve Battery Power, Gaming Mode, Application Whitelist and more. The AntiVirus offer three scan types, including Quick scan, Full scan, and Custom scan. However, the scan results are not great. The quick scan couldn’t find anything and even the full scan, which took almost an hour, did not find any infected files, although there were some on the computer. The scan process percentage or a loading bar is missing. As a result, it is not possible to find out how much more time the AntiVirus will take until it finishes the scan. After the 30-day test of the AntiVirus, researchers came up with the final verdict. They have indicated that the application is simple and easy to use, however, the detection rate is average. SUPERAntiSpyware was founded in 2004 in the USA. 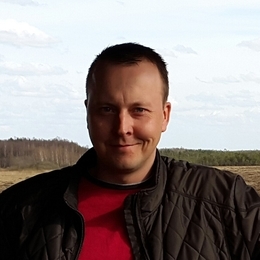 The company specialized in anti-spyware technology led by Nick Skrepetos, has been involved in the computer security software industry since 1983. SUPERAnti Spyware focuses on the innovative technology in order to detect, remove, and protect its customers from malicious software and cyber threats, including spyware, adware, malware, Trojans, keyloggers, dialers, hijackers, and worms. 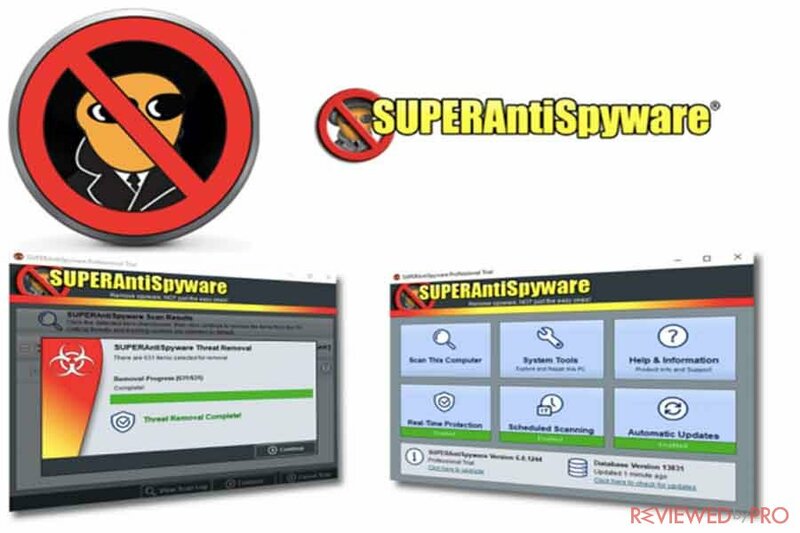 SUPERAnti Spyware offers users two versions including a free version and a professional version of the software. The professional version offers users some additional features, such as real-time blocking and scheduled scanning. In addition, customers get 30-day unconditional 100% money-back guarantee. The download and installation process of the software is very fast and easy and it is compatible only with Windows Vista, 7, 8 and 10 Operating systems. Researchers at Reviewed by pro tested the software for 7 days with a clean Windows 10 PC with procession i7, 4 GB of RAM, SSD drive. In order to see how the software fights computer threats, they also added files with samples of spyware and Trojans. After the 7-day test researchers revealed the pros and cons of the software. Scans are fast. The full scan only took 10 minutes to complete while the average is about 30 minutes for a full scan. SUPERAntiSpyware does not have any negative impact on the system and does not slow down the computer while scanning. 27/4 technical support that customers can contact via email. The software looks very outdated and the user interface feels like it is from 2005. The program detected some safe programs and cookies as malicious. In addition, the actual malware detection rate is lower than the average. Users of the software note that additional security product should be used for a complete protection and security of the PC. After the 7-day test of the SUPERAntiSpyware anti-spyware suite, researchers came up with the final verdict. They noted the average virus detection rate and its price. STOPzilla AntiVirus and SUPERAntiSpyware both offer average malware detection and removal rates. However, besides this, the packages do not have any more similarities and are quite different. When it comes to the design of the software, STOPzilla AntiVirus looks modern and has an innovative user-interface, while SUPERAntiSpyware looks like it wasn’t updated for more than 10 years. So, if you are looking for easy to use and simple software, that offer additional features, STOPzilla would be a better choice for you. However, this package is more expensive, compared to SUPERAntiSpyware and the scans take very long – almost an hour. Meanwhile, SUPERAntiSpyware is relatively inexpensive and offers quick 10-minute full scan, which does not slow down the system. It has 24/7 customer support center that could be easily reached via email. ^ STOPzilla AntiVirus Software. STOPzilla. ^ Ugnius Kiguolis . STOPzilla AntiVirus Review. Reviewed by Pro. ^ Olivia Morelli. SUPERAntiSpyware AntiVirus Review. Reviewed by Pro. This entry was posted on 2018-01-08 at 07:51 and is filed under News.